You are at Constitution Avenue and John Ireland Blvd. in downtown St. Paul. 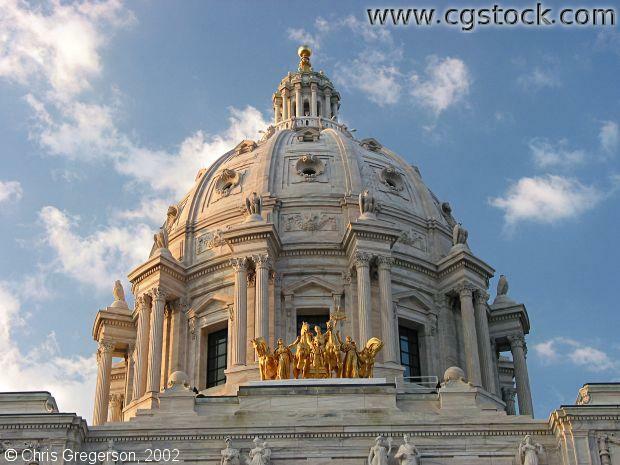 This is the dome of the Minnesota state capital, viewed from just in front of the main entrance. Downtown St. Paul is behind you.